The Logic LQD e-cigarette starter kit is a stylish and effective open tank system from Logic Vapes. This Logic LQD Tank Kit includes all you need to get stuck into their simple-to-use device. Choose between 4.2V or 3.6V settings and enjoy a fully tailored vape experience. 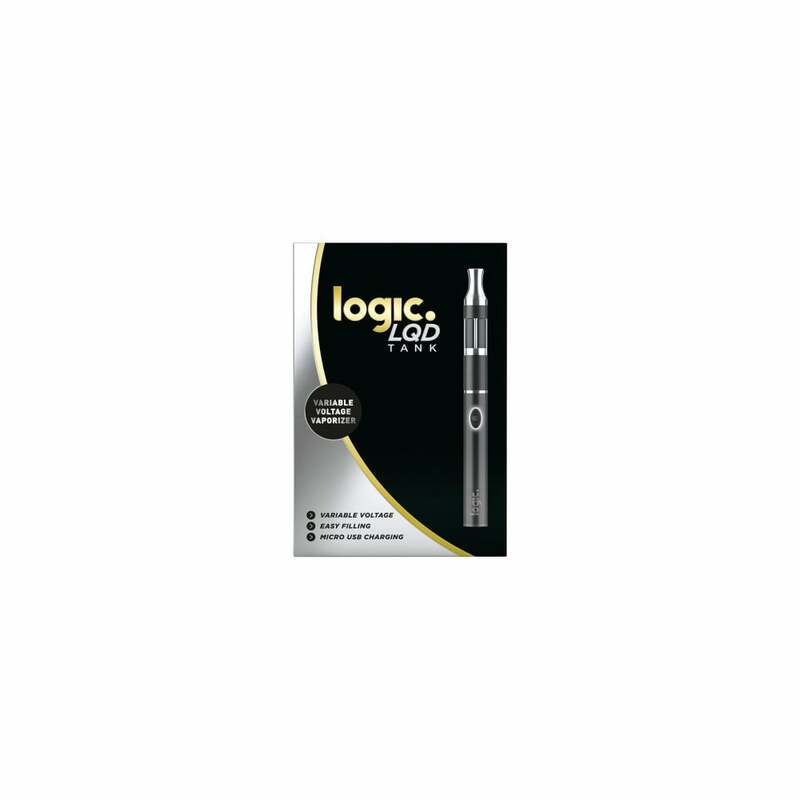 The Logic LQD vape pen features an innovative dual-chamber tank system and easy top fill design. You simply pour in your chosen LQD e-liquid from the top tank and it will filter down to the lower chamber which is then tension-sealed, limiting the risk of spillage. The design is user-friendly and also highly secure, with an auto-lock feature, making it child-safe and giving peace of mind when it's stored in a bag or pocket that it won’t switch on by mistake. The Logic LQD kit is designed to make vaping enjoying and easy. It has an ergonomic and comfortable mouthpiece and charges quickly and easily, so you don’t have to wait long to be able to vape again. The Logic LQD Tank Kit uses uniquely formulated LQD e-juices which are available in a range of flavors including traditional tobacco and menthol, as well as fruitier and more exotic offerings.